I pray that your Thanksgiving holidays were a time to be remembered. It is a wonderful time to catch up with family and friends, although sometimes the gatherings can be challenging. Life is interesting that way. As I traveled back home from my Thanksgiving holiday, I noticed all the attractive lights and decorations outside and in the stores (although stores had Christmas things even before Halloween). It made me think about how holidays that generate financial gain for retailers get the most attention. I felt sad that those holidays that are focused on family values, prayer or connectedness and not gift-giving – like Thanksgiving and Advent -- can get swept under the rug. Next Sunday is the first Sunday of Advent. 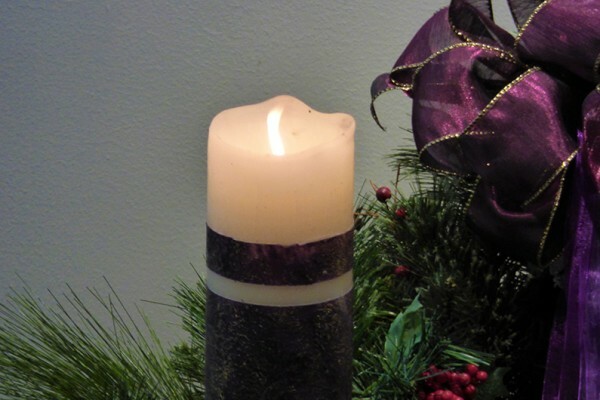 How much do you know about the history of Advent? I must confess that my understanding of Advent was that it is a season of anticipation and expectation of the birth of Christ. In doing some research, I learned that Advent in the fourth and fifth centuries was a season of preparation for the baptism of New Christians at the Feast of the Epiphany. They would fast and pray. Advent and Christmas were hardly connected. It wasn’t till the Middle Ages that Advent was linked to the birth of Jesus. So, as you can see, with time things can take on new meaning. How do you celebrate Advent? Is it a time of fasting, praying, waiting? Or is it a time of running around and making sure everything is just perfect for Christmas with food, parties, decorations and presents? It can be a real challenge to take some extra time to pray or read daily Advent reflections with all that might be going on around you. Maybe it is time to make some Advent resolutions? Unfortunately, just like New Year’s resolutions, our intentions are great and perhaps we are faithful for a while, but somewhere along the line we slip up. Even if you slip up, don’t give up! Just keep trying. My prayer for you and for me this week is that we can experience what Advent is for each of us. May it be prayerful and joyful for us all.